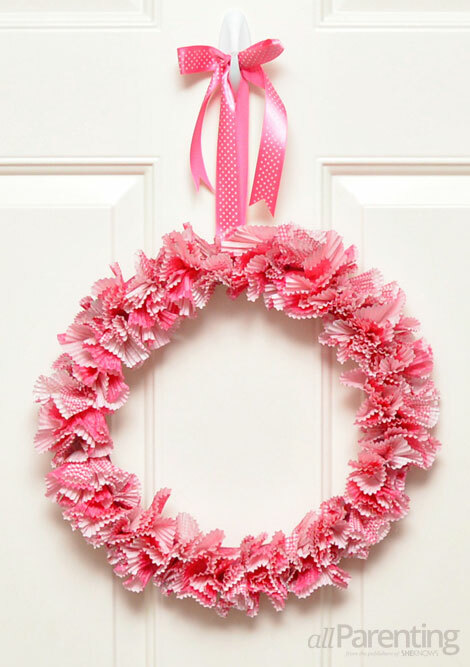 Even if you don't think you're crafty, you'll be able to pull together this cute Valentine's Day wreath! 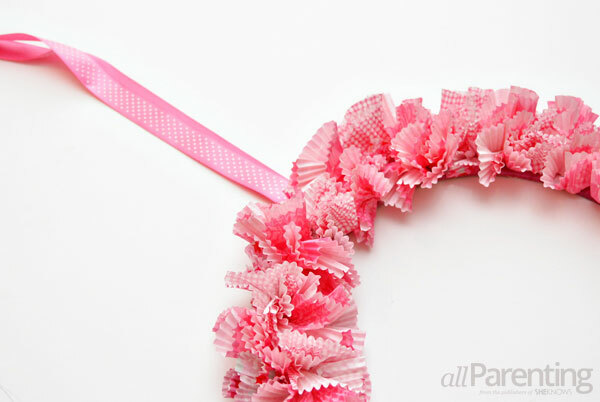 Just gather some cute cupcake liners and start assembling this wreath for a fast and easy Valentine's decoration. 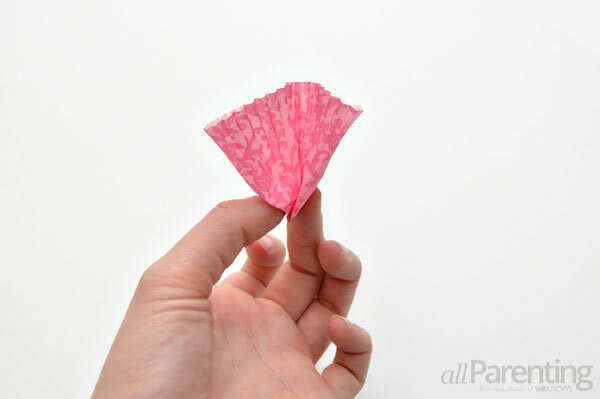 Cute crafts don't have to be complicated! 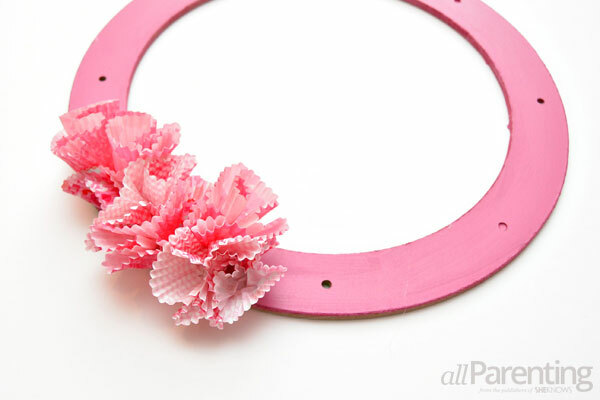 This Valentine's Day wreath is so simple to make, you'll have it assembled and ready to go in under an hour. 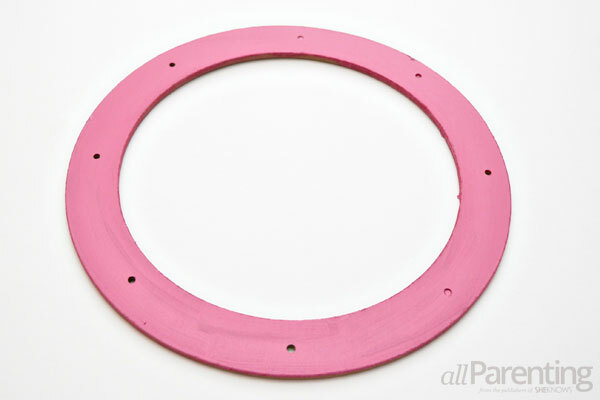 Coat the front, back and sides of the wreath form with the craft paint. Once the paint is dry, start applying the cupcake liners. 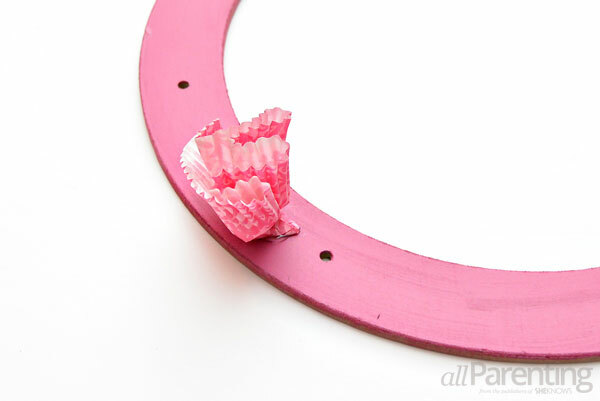 Pinch a cupcake liner in the center of the liner. 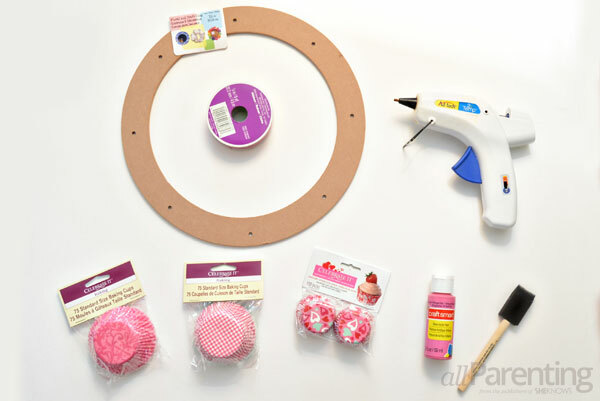 Glue the cupcake liner to the wreath form with hot glue. Glue more liners to the wreath form, keeping the liners as close together as possible. Keep adding liners to the wreath form until it is completely filled in. Cut a 2-foot piece of ribbon. 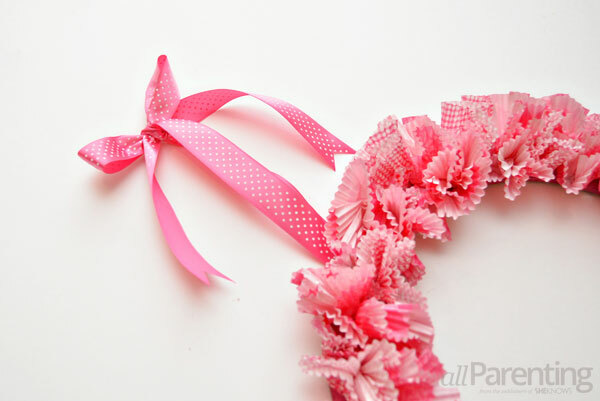 Fold the ribbon in half and glue it to the back of the wreath. Tie a bow in the ribbon, then trim away any excess ribbon. 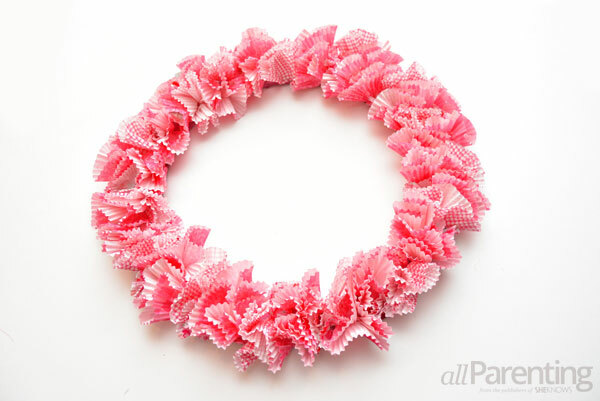 Now your pretty Valentine's Day wreath is ready to hang!